Microsoft WPC is always exciting for us. Our Barracuda Web Application Firewall (WAF) was presented by Scott Guthrie when he announced the MS Azure Certified Program, in 2014. At the time, Barracuda was the first and only Microsoft Azure Certified security solution provider. The following year, we were able to announce that our Azure line of solutions had expanded significantly. In addition to the Barracuda WAF and Barracuda NextGen Firewall F-Series, the Azure Marketplace also offers the Barracuda Email Security Gateway and the Barracuda Message Archiver. This year we're continuing our tradition of a strong showing at WPC. 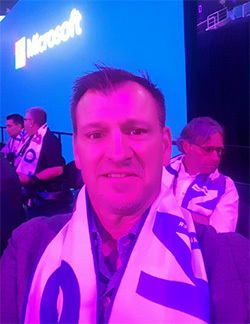 During the opening keynote, our very own CEO BJ Jenkins will be featured in the Welcome Video, as part of our recognition for being named Winner for the 2016 Microsoft Azure Certified ISV Solution Partner of the Year. We were selected for this recognition for demonstrating excellence in innovation and implementation of customer solutions based on Microsoft technology. There are several events happening alongside WPC where Microsoft will honor its Partner of the Year winners – including a special invite-only luncheon with Microsoft CEO Satya Nadella, and the annual ceremonial scarf presentation. If you are unable to attend the keynote in person, you can livestream it here or view it on-demand here. We also will be making an exciting announcement around our Barracuda NextGen Firewall F-Series, which is our cloud-ready next-generation firewall designed for distributed environments and public cloud platforms like Microsoft Azure. In addition to securing the network, the F-Series Firewall optimizes network traffic and ensures that users have access to the resources they need across on-premises, private, and public cloud environments. This firewall was designed for the cloud-era, and we have some great news coming for Microsoft Azure customers. If you would like to connect with us at Microsoft WPC, visit us at Booth 1731, which is located in The Commons, along with Microsoft Central, the Community Hub, and Regional Lounges. Download the WPC Conference Guide here (pdf) for more information on where everything is, and where to get a more detailed map of events. If you can't make it to Toronto, you can still follow the WPC news on the Microsoft Partner Network blog and the MS Partner Twitter feed. 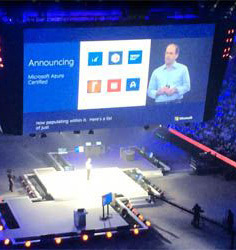 Be sure to use #WPC16 to join in on the conversation!